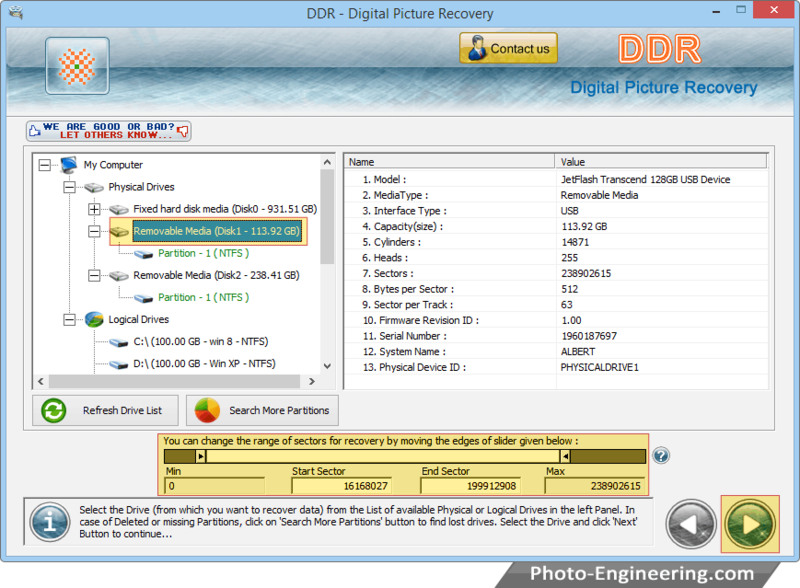 Select partitions / disk from Physical or Logical Drives and click Next button to proceed. 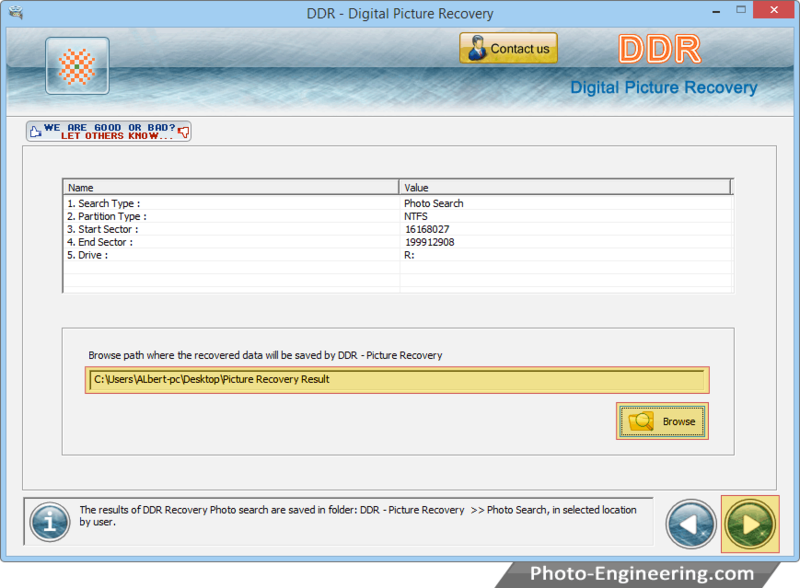 Browse path Where the recovered data will be saved by DDR - Picture Recovery and click next button. 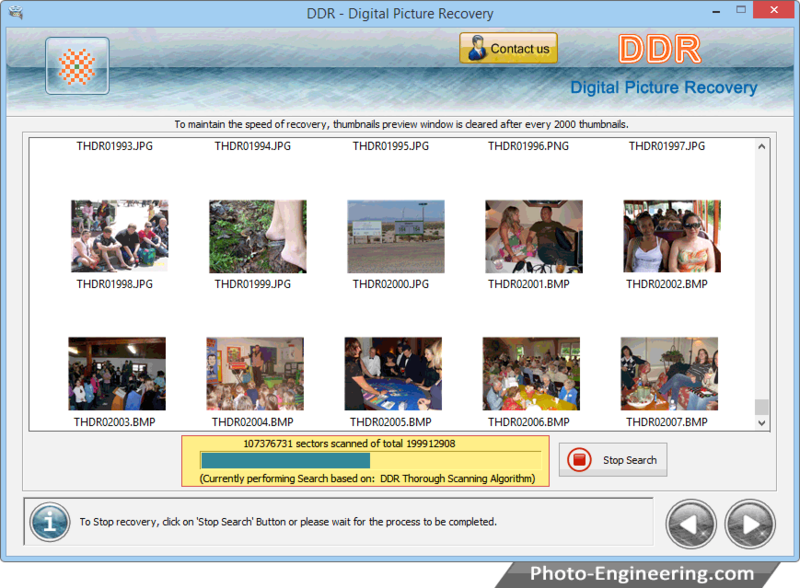 Currently performing scanning Process, If you want to stop recovery process, then Click 'Stop' button. Data has been recovered. 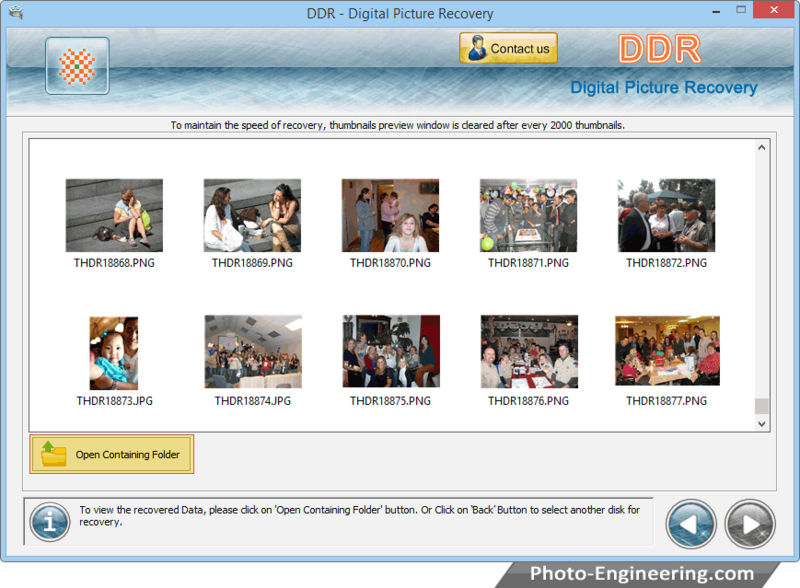 Now click "Open Containing Folder" to view your recovered data.